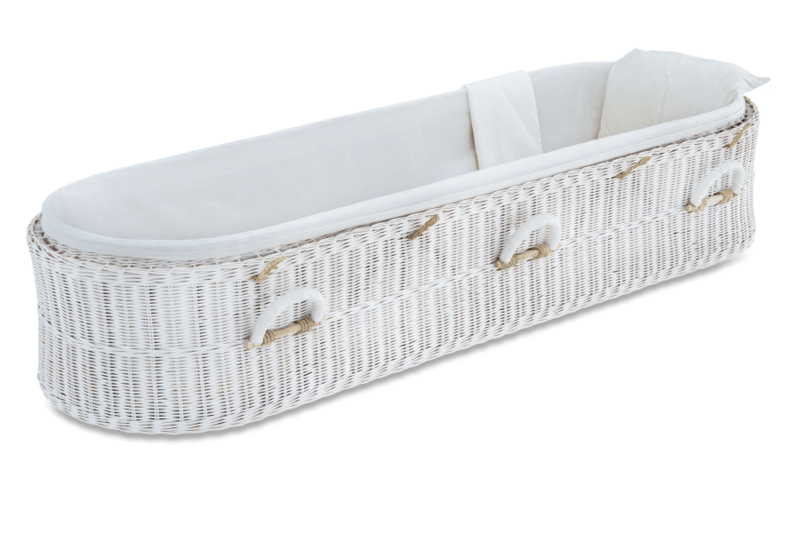 Our natural and eco-friendly ‘White Wicker’ is made from a variety of organic materials. The art of wickerwork takes its heritage from the ancient craft of basket weaving. A simple design with durability, the ‘White Wicker’ is tightly hand woven by our local craftsmen in Indonesia using traditional methods passed down from generations. Natural wicker is well known for its strength and durability. It is made from cane like materials such as bamboo, reed and willow. 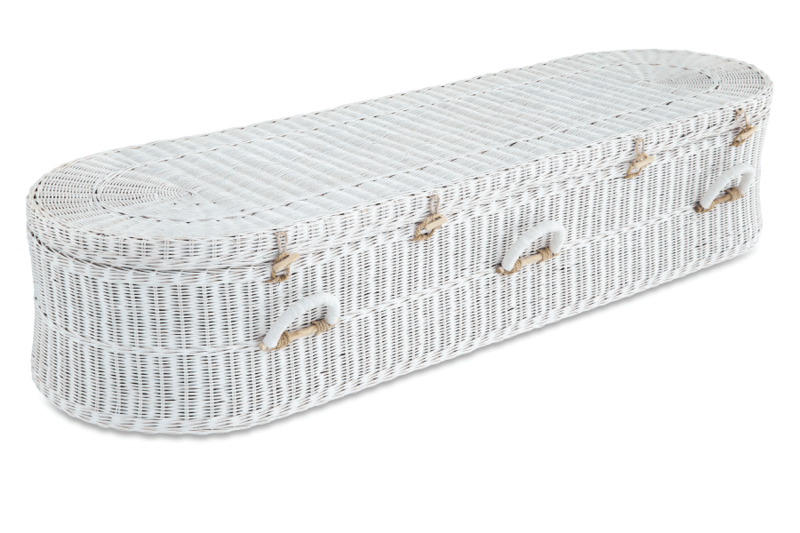 With a light yet sturdy composition, it is ideal for crafting eco-friendly caskets. Nowadays, wicker can be made from natural or synthetic materials, or a combination of both. Ours is sourced from 100% natural materials in Indonesia, and crafted by local skilled artisans to create desirable caskets fit for purpose.